The Regulation (EU) 2016/679 ("General Regulation on Data Protection"), hereinafter the GDPR, provides for the protection of individuals with regard to the processing of personal data. PowerMob srl, in compliance with the aforementioned legislation, undertakes to ensure that of the datable to a natural person (hereafter "concerned") is based on the principles of correctness, lawfulness and transparency, as well as the protection of privacy and rights of the data subject. In compliance with the provisions of EU Reg. 2016/679 ( European regulation for the protection of personal data) We provide the necessary information regarding the processing of personal data you have provided. Our structure, as Owner, will process your personal data in compliance with the law, with the utmost care, implementing procedures and management processes effective to ensure the protection of the treatment. To this end, the writer, using material and management procedures to safeguard the collected data, undertakes to protect the information communicated, in order to avoid unauthorized access or disclosure, as well as to maintain the accuracy of the data and to ensure its appropriate use. This site processes data based on consent. By using or consulting this site, users explicitly approve this privacy statement and consent to the processing of their personal data in relation to the methods and purposes described below, including any disclosure to third parties if necessary for the provision of a service. The provision of data and therefore the consent to the collection and processing of data is mandatory to continue browsing the site. The above information is processed in automated form and collected in order to verify the correct operation of the site, and for statistical or security reasons. For security purposes (spam filters, firewalls, virus detection), the data recorded automatically may also include personal data as the IP address, which could be used, in compliance with the laws in force on the subject, in order to block attempts to deceive the site itself or to harm other users, or in any case malicious activities or constituting a crime. Such data are never used for the identification or the user's profiling, but only for the protection of the site and its users. Apart from what specified for navigation data, the user is free to provide personal data respect to those previously indicated, by registering to the site. Failure to provide it may make it impossible to obtain what was requested, the impossibility of providing some services and the browsing experience on the site could be promised. PowerMob srl specifies that it does not collect in any case your "sensitive" data. Personal data collected during navigation will be kept for the time necessary to overturn the specified activities. The data provided voluntarily by the user will be kept as long as the customer does not revoke the consent. Pursuant to and for the purposes of articles. 12 and ss. of the GDPR, we wish to inform you that the personal data you have communicated will be recorded, processed and stored in our electronic archives, adopting appropriate technical and organizational measures aimed at protecting the data. The processing of your personal data may consist of any operation or complex operations between those indicated in art. 4, paragraph 1, point 2 of the GDPR.The processing of personal data will be through the use of appropriate tools and procedures to ensure the security and confidentiality and can be carried out, directly and / or through third parties delegated by the help of computer or electronic tools. The data supplied by you will be processed only in Italy. If your data are transferred to a third country or to an international organization in the context of a contractual relationship, the rights assigned to you by the Community legislation will be declared and you will be promptly notified. - ascertaining any responsibility in the event of offenses committed against the site. - direct sales through the web. Your data, provided through registration, may be communicated, meaning the term is to give it to one or more specific subjects, from the writer to the outside of the company to implement all the necessary legal and / or contractual obligations. Data retention period: according to the terms established by law for the preservation of tax documents and in any case in compliance with the mandatory terms provided for by the regulations. Pursuant to art. from 15 to 22 of the GDPR, you have the right to obtain from the Data Controller the access to your personal data, the correction and cancellation of the same, the limitation and opposition to their treatment; you will also have the right to the portability of your personal data. If you consider that the processing that concerns you is in breach of the GDPR, you will be entitled to claim a complaint to a supervisory authority, pursuant to art.77 of the GDPR. 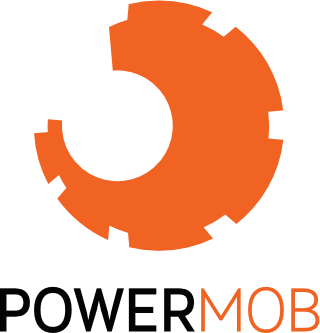 Please note that browsing the PowerMob srl sites will be downloaded cookies called technical. Cookies are short text files that are downloaded to the user's device when visits a website. For each subsequent visit the cookies are sent back to the website that has them originated (first-party cookies) or to another site that recognizes them (cookies third-party). The cookies are useful because they allow a website to recognize the user's device. They have different purposes such as, for example, to efficiently browse pages, remember favorite sites and, in general, improve the browsing experience. also to ensure that the advertising contents displayed online are more targeted to a user and his interests. Depending on the function and purpose of use, cookies can be divided into technical cookies, profiling cookies, third-party cookies. Technical cookies are essential and can not be disabled using the functions of this website. In general, cookies can be deactivated completely in your browser at any time. Within its own websites, PowerMob srl, in addition to using technical cookies, also uses profiling cookies. These cookies allow us to remember the choices that users make on the site and / or services that are specifically requested with the aim to provide more advanced and personalized services. For example, they are used to choose the language or weather forecast of a specific location. The use of these cookies requires the prior acquisition of the free informed consent of the user pursuant to art. 23 of Legislative Decree 196/2003.  The consent is acquired through a banner visible to the user before the first visit of one of the PowerMob srl sites, as required by the provision of the Guarantor for the protection of personal data (No. 229 of 8 May 2014). This consent may be revoked at any time by ticking the check box. The refusal to consent to the use of profiling cookies will not affect the possibility of accessing the site, except for the impossibility of accessing those functions or contents that make use of these cookies. Cookies can also be managed through the browser settings. At any time you can accept, reject cookies or decide to set a warning message before accepting a cookie from the websites visited. The procedures to manage cookies differ depending on the browser used, by accessing the guide section of the latter you can find out how to manage the settings. We inform you that changing the settings will have impacts only on that particular browser and PC, to be able to align the behavior to other devices and must repeat the operation on each browser. We also remind you that by disabling some cookies the website may not be able to provide you with profiled services.